Is there a better alternative to SimpleSitemapGenerator? Is SimpleSitemapGenerator really the best app in Developer Tools category? Will SimpleSitemapGenerator work good on macOS 10.13.4? 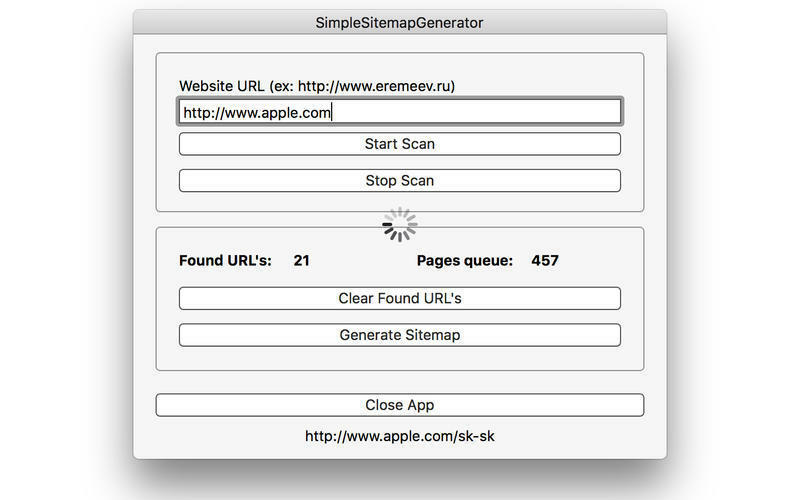 SimpleSitemapGenerator lets you create a sitemap for your Web site by entering your home page URL, clicking "Start scan", waiting a moment, then clicking "Generate" after scanning. SimpleSitemapGenerator needs a rating. Be the first to rate this app and get the discussion started!